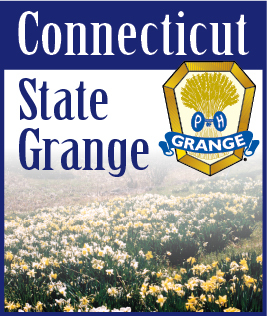 The Connecticut and Rhode Island State Granges have announced they will be co-hosting a special membership workshop to be held on Sunday, March 23, 2014. The workshop is titled “Grow Your Grange - Impact Your Community” and will be presented by National Grange Membership/Leadership Director Michael Martin. It will be held at Ekonk Community Grange Hall, 723 Ekonk Hill Road, Route 49, Sterling, Connecticut, from 1:00 PM to 4:00 PM. The event is open to all, and admission is free. Those attending are encouraged to come with an open mind to build their Granges. Refreshments will be served following the meeting. All who wish to attend are asked to RSVP to the following: Jody Cameron, CT State Grange President, Phone: 860-564-7614, E-mail: President@CTStateGrange.org or Steve Logan, RI State Grange President, Phone: 401-783-3551, E-mail: SWLogan102@Cox.net. Founded in 1867, the National Grange is the oldest US rural community-service, family-oriented organization with a special interest in agriculture. Over the years, the Grange has evolved to incorporate the interests of rural, suburban and urban communities. Agricultural and legislative initiatives, education and communications access are just a few of the Grange's current areas of involvement. The organization has approximately 160,000 members in more than 2,100 local and state chapters nationwide, with more than 50 Community Grange chapters across Connecticut. There are over 20 Community Grange chapters in Rhode Island. More information on the National Grange can be found at www.NationalGrange.org.